Let me just reiterate – there is an entire festival dedicated to elk. 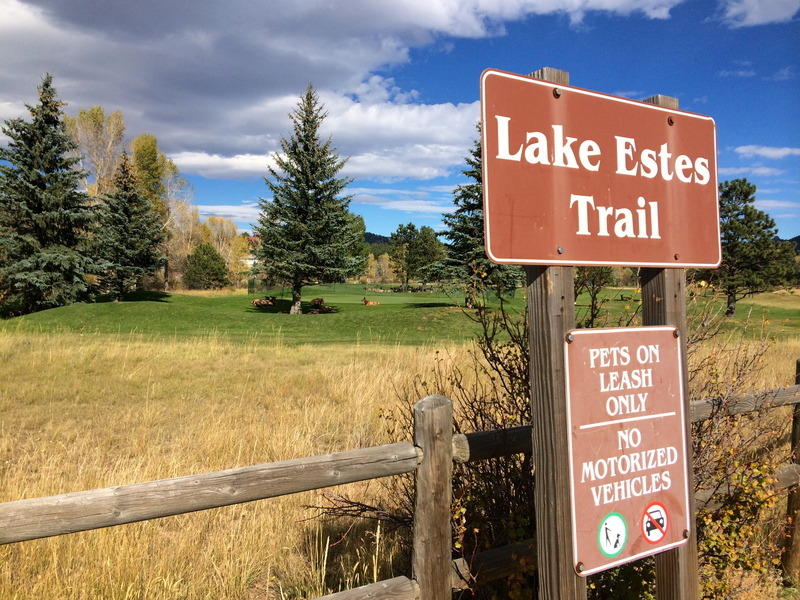 Leave it to Estes Park, Colorado! October is known as “Elktober” in this town. 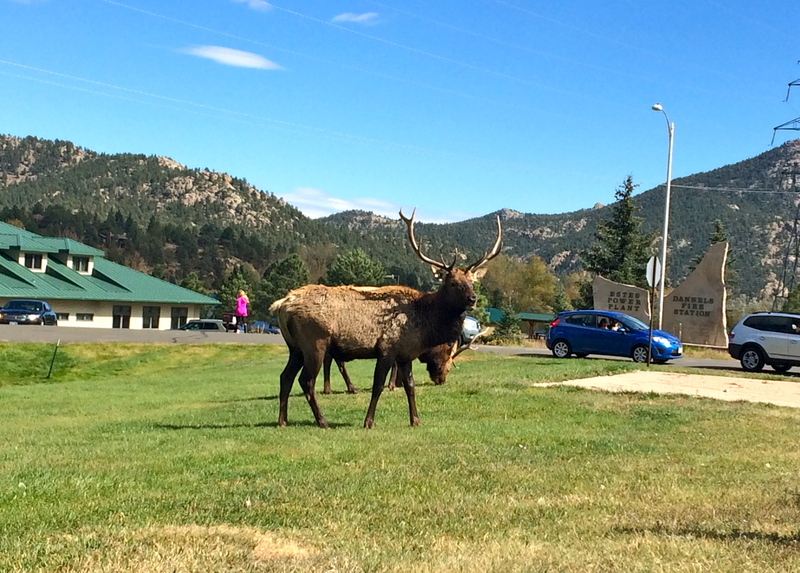 Fall is the prime mating season for elk, and they can be seen all around the town of Estes Park as they come down from the mountains. Elk fest celebrates the courtship season (known as “rut”). When bulls (males) compete for the attention of cows (females), they start with a “bugle,” a unique and eerie call made by the animals just before dusk during the rut to make themselves known to the cows and other bulls that will also be vying for the cows’ attention. The bulls will battle each other (called “rutting”) by using their large antlers in order to determine who will claim dominance. Elk are also commonly known as “wapiti,” a Shawnee name that means “white rump.” This is in reference to the light tan rump-patch that all elk have. Mature male elk can weigh over 1,000 pounds, their antlers alone could weigh up to 40 pounds. Fun fact: Antlers are the fastest growing bone in the world! They are shed and re-grown every year. These large, powerful creatures are certainly impressive! However, elk were not always found in multitudes as they are today. Back in 1910, there were only a few elk left in Colorado because they were such popular prey for hunters. The threat of near extinction of elk served as a wake up call for the people in Colorado, and hunting was eliminated for the next 26 years and animals from Yellowstone were transplanted to restore herds and improve habitats. It is safe to say that this worked; Colorado now has more elk (300,000!) than any other state! As part of the celebration, Elk Fest offers a whole lot more than just watching elk. There are bugling contests, elk viewing tours, Native American music, dancing, and storytelling, elk seminars, children’s elk-themed activities, a beer garden, and much more! Intrigued enough to want to see Elk Fest for yourself? 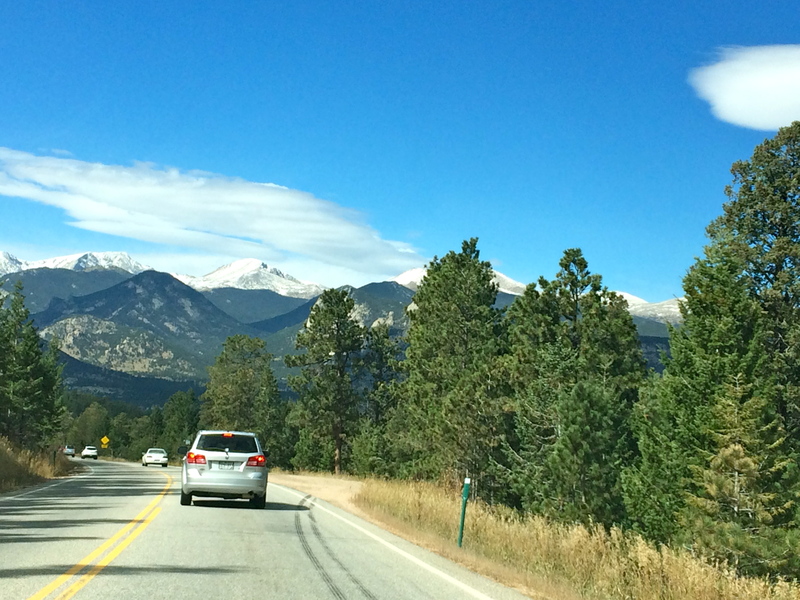 Start planning your trip to Estes Park! I hope to be in attendance again next year, and hopefully will get there early enough to hop on an elk viewing tour as well! Enjoy getting great pictures, but don’t get too close, and the males are especially aggressive this time of year. Getting gored can seriously injure or kill you…! Yeah I could tell from watching them! They sure are amazing animals though. Thanks for reading Larry! Looks like a super great event, I can totally see why you are already planning another trips back there. It was certainly unique! And it takes place in a great town as well 🙂 Thanks for reading! How do you find a fest like this! Awesome, it would definitely be a once in a life time experience! Estes Park is full of strange and unique festivals such as this one. 🙂 It’s a great place to visit if you are ever in the area! Wow. I had no idea there was such a situation surrounding the Elks. I’m so glad they’re around in good numbers now! Such majestic creatures! They really are! It was amazing to see them from up close, and learn about how they came to be such a big deal. Thanks for stopping by Revati! Thanks Vlad, I’m glad you enjoyed it! It was by far one of the most unique festivals I have been to 🙂 It was a great day to spend with the elk! How random! Looks like a cool interactive event though. I’ve never heard of Elk Fest before. Thanks for sharing. Thanks for shedding light on Elktober for me. That is very cool. Leave it to Colorado to notice the near extinction of one of its animals and bring it back to abundance; gotta love that. CO never fails to surprise me. Can’t say it was difficult moving here… I’m loving every bit of it! Thanks for reading Tim! I love quirky festivals like this and I never never heard of this one before. Fun post! Thanks Adrienne! This was a fun and unique one! Wow, what a fun festival. Its great to know about such events around the country. Thanks for sharing. Thanks for reading Vasudha! It was a very cool festival, and certainly different from others I have attended!